Date Weekend from the Past! | mrs. and the misc. My husband and I first started dating the summer before our freshman year of college. 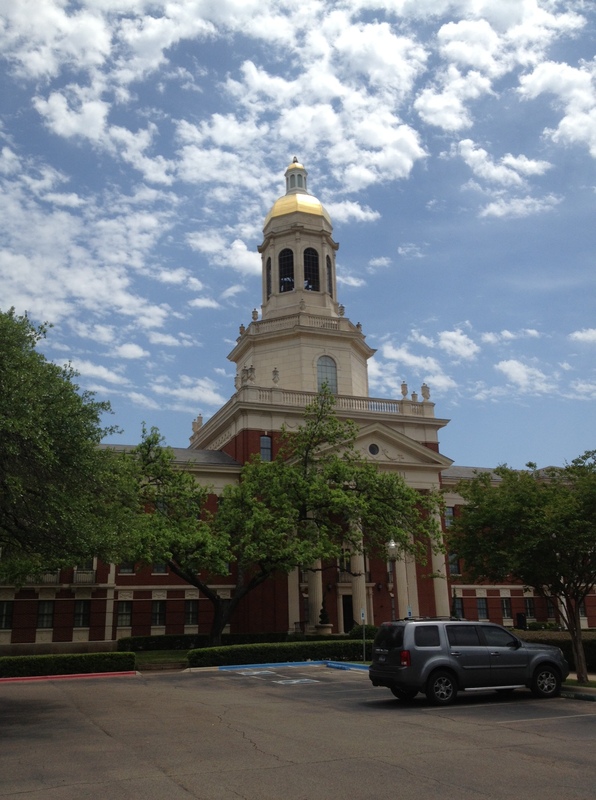 Then when fall semester began, he went to Baylor University and I to the University of North Texas. For the next four years, we would continue to see one another on the weekends, and always tried to have dates with something new or fun planned. As we have been together for ten years now, a couple weeks ago we discussed having a “weekend getaway” centered around our dates from college past. 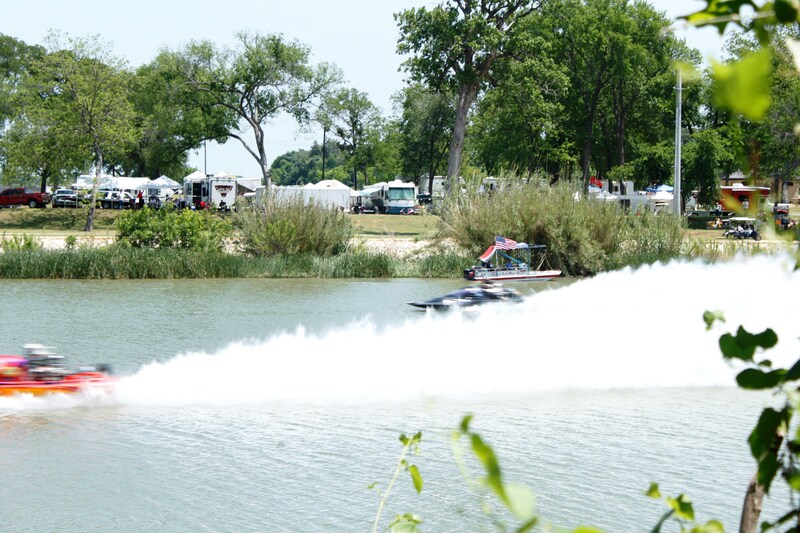 Taking a Friday off, and packing our bags, we headed to good ‘ol Waco, TX for a long weekend. En route, we stopped in West, Texas to survey the damage that had taken place two weeks prior, and were somewhat surprised at the amount of force and energy the fertilizer plant explosion expelled. State troopers and police from different counties joined one another to guard certain streets, houses, and unsafe areas, and also, needed home protection from lowly looters. Unable to get good photograph proximity, we did a drive by of few outlying homes in West. Mostly every home that was in a 3-4 block radius, reflected minor or extreme damage such as: garage doors blown off, all glass windows broken, car windows broken, doors broken, bricks falling off of houses, houses caved in, etc. Lets just say it was a lot worse than we initially “supposed” and pictures don’t accurately depict the total extent. Wanting to stay in Waco for Friday and Saturday evening, we found out after many phone calls, that all Waco hotels were booked Friday because of: some graduation, some Southern Drag Boat Race taking place at Cameron Park, some convention, and all the volunteers/cops/organizations that were helping out at West were staying in Waco! So, we turned around from Waco, to stay at the Czech hotel in West (which miraculously had a room)….and was also the hotel where all displaced/affected West residents were staying. I think everything happens for a reason, and that night we were meant to stay there…if not to just see the kindness that still exists in the world. 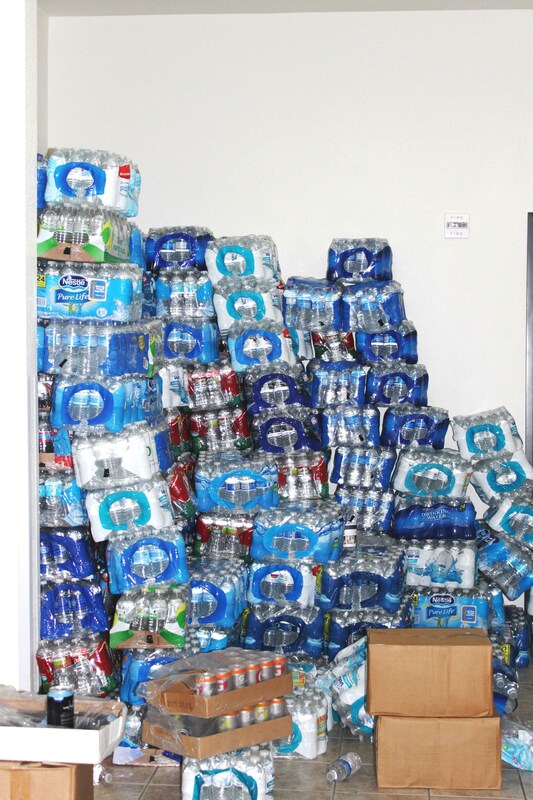 The generosity of people during a tragedy such as Wests, was extraordinarily touching. In the hotel lobby, they had free hot meals, a room piled to the ceiling with bottled waters, a conference room filled with clothes/shoes/toys, and another conference room filled with daily necessities: baby formula, Lysol wipes, over the counter medications, etc. Outside, a church had set up a mobile laundry unit and they were washing the extra set of clothes that people had…for free…and they then folded, and put the clothes in a clean bag for pick up at the front desk. This especially rang a heartstring for me, because it is the last thing I would think of amidst a crisis, and yet it is so important to have clean clothes, when you only have 2 sets of clothes to your name! 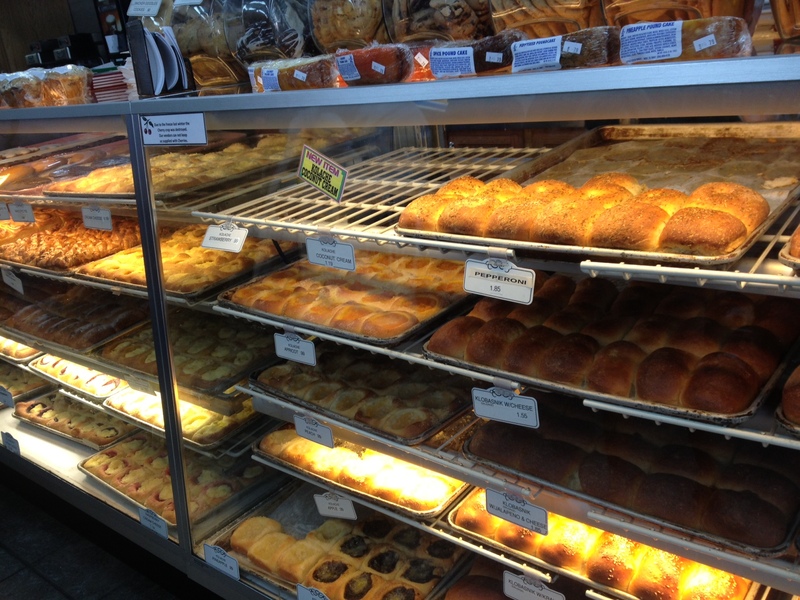 Saturday morning we had the culinary pleasure of grabbing pastries at the Czech stop, before heading to Waco, again! Once there we decided to check out the Southern Drag Boat Race (which neither of us have ever seen) and then went on a hike through Cameron Park. 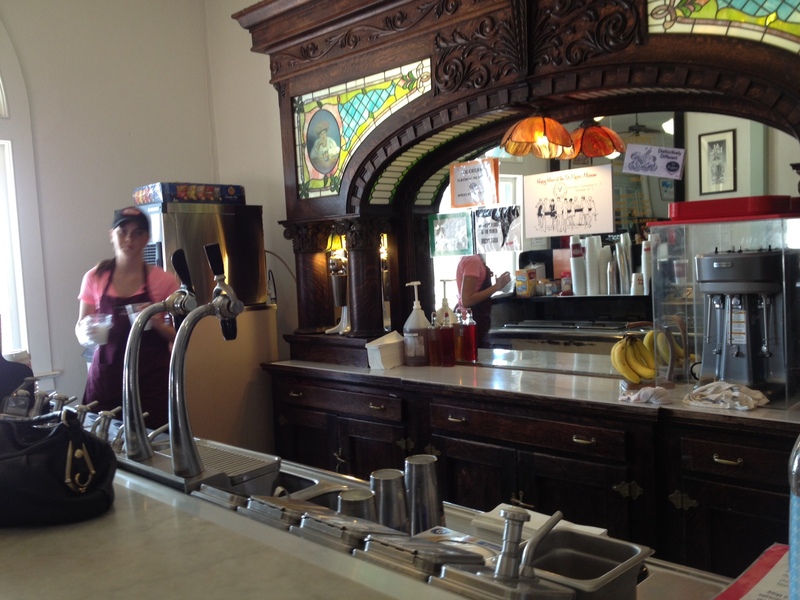 When in college, we used to visit the Dr. Pepper museum and have old fashioned “Dublin’s” made by the soda jerk, so of course we grabbed one after our walk! Freshman year, my husband first took me to a school play, and for the next four years, we attended numerous theatrical productions by Baylor actors/actresses. The “date weekend” was sparked by the original idea to go back and see a play, like we used to in the college days, so this was what we were most excited for. 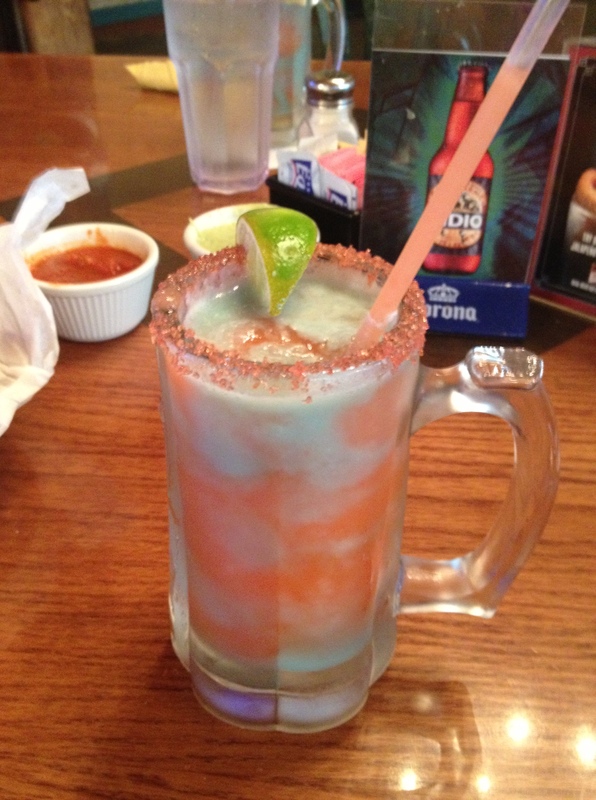 Grabbing dinner at Ninfa’s (and one of those awesome “spiderman” drinks), we headed over to the play, and for one night…it felt like we were back in school! Driving home Sunday, we decided there should be more “date weekends” away from home, because for those few short days, it was so nice to just leave everything behind and just enjoy the company. What a nice way to spend a weekend… relaxing and reminiscing! Wow, you’re the cutest couple i know! And what a GREAT story and first-hand experience from the West, Texas crisis. haha. Your sweet! It was really a interesting experience. We wish we could have gotten closer to the “epi-center” of the calamity, but due to the extreme volume of state troopers, and cops, were unable to. We ate dinner Friday evening, at the only pizza joint in town, and I really liked how everyone knew each other. That’s what you get though, when you live in a small town. I think I could do it one day in the future. I liked the friendliness, and how everyone was taking care of one another!